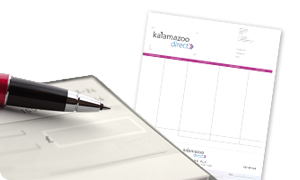 Whether you require security print in the form of cheques, certificates, tickets, vouchers or other secure documents, Kalamazoo Direct has the expertise and experience to help protect your organisation from document fraud and replication. 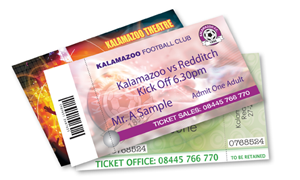 Kalamazoo Direct specialises in security print design, production and fulfilment, producing millions of secure documents every year. Our expertise in security printing solutions and in-house design talent mean that we can combine the highest-level security features into your documents, whilst working to your specific creative brief and corporate guidelines. Our ISO 27001 (Information Security Management) and CPAS (Cheque Printer Accreditation Scheme) certifications underpin every operational process in our secure production, storage and warehouse facilities, so you can enjoy complete peace of mind that your security documents are safe and secure throughout the entire production process. In addition, our network of secure couriers ensures your security print is safe from when it leaves our production facility to the moment it reaches you. Cheque printing you can bank on from a C&CCC accredited cheque printer. We provide secure cheques designed to protect you from cheque fraud. 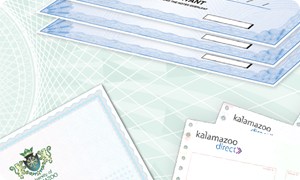 To help combat the growing problem of certificate fraud, Kalamazoo Direct provides tailored, secure, end-to-end certificate solutions. With over 35 years’ experience as a trusted ticket provider, Kalamazoo Direct can provide a one-stop ticket solution to help your event entry run smoothly. 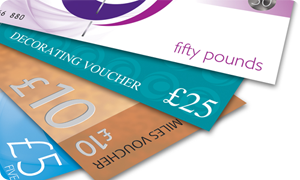 Increase sales and reward customer loyalty with high quality printed vouchers and gift cards. 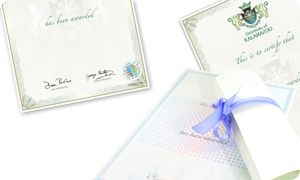 From licences and parking permits to NCR pads and sensitive documents, trust us to produce your secure print.